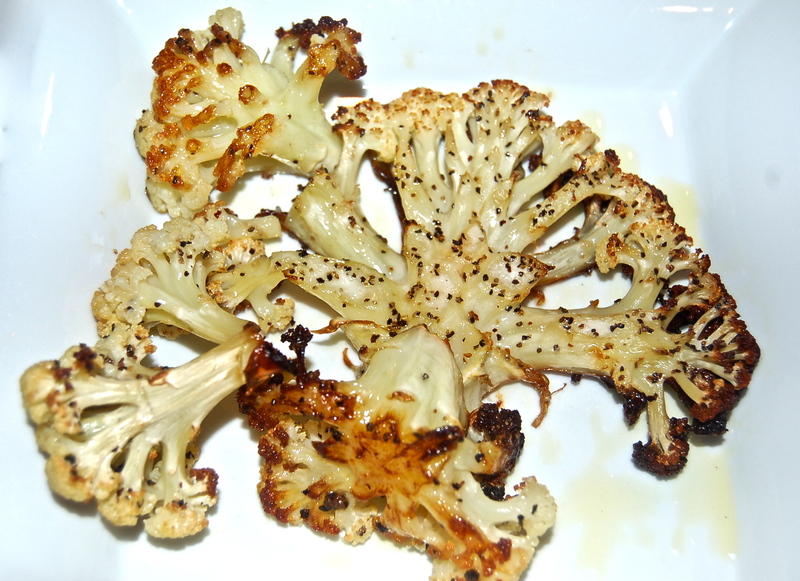 To all who shy away from Cauliflower, may I suggest roasting with EVOO and salt and pepper? It very well might change your mind. The trick is to roast it to a char, it changes the texture and the taste. To my taste buds, the heavily charred pieces have the remote taste of campfire-roasted Marshmallows. Tasting is believing. 2. Add the seasoned Cauliflower slices & florets in one layer to a baking sheet. 3. Roast for about 25 minutes, carefully watching their progress. 4. When roasted to suit, remove & allow to cool down a bit. 5. Plate & if desired add sprinkle of EVOO. Hmm- picked up a beautiful head of cauliflower yesterday. Maybe this will be tonight’s dinner. I’ll let you know if looks as lovely and tastes as good as yours.